Stuart Woods was born in the small southern town of Manchester, Georgia on January 9, 1938. His mother was a church organist and his father an ex-convict who left when Stuart was two years old, when it was suggested to him that, because of his apparent participation in the burglary of a Royal Crown Cola bottling plant, he might be more comfortable in another state. He chose California, and Stuart only met him twice thereafter before his death in 1959, when Stuart was a senior in college. months of which were spent in basic training for what he calls "the draft-dodger program" of the Air National Guard. He worked at a men's' clothing store and at Rich's department store while he got his military obligation out of the way. Then, in the autumn of 1960, he moved to New York in search of a writing job. The magazines and newspapers weren't hiring, so he got a job in a training program at an advertising agency, earning seventy dollars a week. "It is a measure of my value to the company," he says, "that my secretary was earning eighty dollars a week." At the end of the sixties, after spending several weeks in London, he moved to that city and worked there for three years in various advertising agencies. At the end of that time he decided that the time had come for him to write the novel he had been thinking about since the age of ten. But after getting about a hundred pages into the book, he discovered sailing, and " . . . everything went to hell. All I did was sail." After a couple of years of this his grandfather died, leaving him, ". . . just enough money to get into debt for a boat," and he decided to compete in the 1976 Observer Single-handed Transatlantic Race (OSTAR). Since his previous sailing experience consisted of, " . . . racing a ten-foot plywood dingy on Sunday afternoons against small children, losing regularly," he spent eighteen months learning more about sailing and, especially, ocean navigation while the boat was built at a yard in Cork. He moved to a nearby gamekeeper's cottage on a big estate to be near the building boat. In the summer of 1975 he sailed out to the Azores in a two-handed race, in company with Commander Bill King, a famous World War II submarine commander and yachtsman, who had done a round-the-world, single-handed voyage. Commander King then flew back to Ireland, and Stuart sailed back, single-handed, as his qualifying cruise for the OSTAR the following year. The next couple of years were spent in Georgia, dividing his time between Manchester and Atlanta, while selling his grandfather's business, a small-town department store, and writing two non-fiction books. Blue Water, Green Skipper, was an account of his Irish experience and the OSTAR, and A Romantic's Guide to the Country Inns of Britain and Ireland, " was a travel book, done on a whim. He also did some more sailing. In August of 1979 he competed in the now notorious Fastnet Race of 1979, which was struck by a huge storm. Fifteen competitors and four observers lost their lives, but Stuart and his host crew finished in good order, with little damage. That October and November, he spent skippering his friend's yacht back across the Atlantic, calling at the Azores, Madiera and the Canary Islands, finishing at Antigua, in the Caribbean. In the meantime, the British publisher of Blue Water, Green Skipper had sold the American rights to W.W. Norton, a New York publishing house, and they had also contracted to publish the novel, on the basis of two hundred pages and an outline, for an advance of $7500. "I was out of excuses to not finish it, and I had taken their money, so I finally had to get to work." He finished the novel and it was published in 1981, eight years after he had begun it. The novel was called Chiefs. Though only 20,000 copies were printed in hardback, the book achieved a hefty paperback sale and was made into a six-hour critically acclaimed television drama for CBS-TV, starring Charlton Heston, Danny Glover, John Goodman, Billy D. Williams, and Stephen Collins. Chiefs also established Stuart as a novelist in the eyes of the New York publishing community and was the beginning of a successful career. He has since written fifteen more novels, the most recent of which are Dead in the Water, which just came out in paperback and Swimming to Catalina, just out in hardcover from HarperCollins. both books feature Stone Barrington, the handsome, sophisticated attorney/investigator and are New York Times bestsellers. Chiefs, won the coveted Edgar award from the Mystery Writers of America, and he was nominated again for Palindrome. Recently he has been awarded France's Prix de Literature Policière, for Imperfect Strangers. In 1984 Stuart married for the first time, but the marriage ended in 1990. "I married too young," he says. "I was only forty-seven." Then, after fifteen years in Atlanta, he moved to Santa Fe, New Mexico. There he spent five years, building a house and meeting his second wife, Chris, who was working in a local bookstore while trying to write her own novel. He now divides his time between Florida and Connecticut and travels widely. At fifty-nine, he has no plans to retire. "I reckon I'm good for another fifteen or twenty novels, maybe more," he says. "I began to be a lot more careful about my health after I learned that heart disease can be prevented by drinking red wine, so I should be around for a long time." When did you first know you wanted to be a novelist? My mother taught me to read a year before I went to school, and I became a voracious reader. I first tried to write a novel when I was nine, but I gave up when I found out how hard it was. Did you take any formal writing classes or seminars? The only writing class I ever took was a correspondence course at the University of Georgia, because I needed an additional five credits to graduate. Any teaching I learned from came from my early bosses in the advertising business, who were sticklers for persuasive prose. I learned a lot there. How did you first become involved with sailing? I moved from London, where I was working in advertising, to Ireland, in 1973, to begin to write my first novel. I worked for two days a week at an ad agency in Dublin, to support myself, and spent the rest of the time in a little flat in the stableyard of a castle, in County Galway. While there, I took up dinghy sailing against small children, losing regularly. You can't win dinghy races when you weigh more than the boat. What was it like sailing alone for six weeks during the OSTAR? What was the most difficult challenge you have faced in your sailing career? That came when the forestay broke, about four hundred and fifty miles north of Bermuda... I was holding onto it at the time, and it could have killed me, but I was lucky. I managed to repair it and finished the race. Your love for the water and yachting is reflected in your work. Do you still spend much time on the water? I sail on other people's boats, when asked, and my small motorboat is for sale, in Florida. After Blue Water, Green Skipper, you finished your first novel, Chiefs. What was the most difficult aspect of writing this novel? The most difficult aspect of writing Chiefs was to finish it. It took me eight years. After that, I gained confidence, and now I write two books a year. Please tell us about your writing habits: do you write everyday, do you use the computer, do you always write in the same location or do you take a laptop everywhere you go etc.? "The process of writing is still a kind of magic to me, and I never try to analyze it too deeply, for fear that it might stop working." I usually write a chapter -- five to ten pages -- at a sitting, which usually comes at mid-afternoon and takes under two hours. First, I re-read the previous day's work and make small corrections, and that gets me into the new chapter. Near the end of a book, I tend to write two chapters a day, one in the morning, and one in the afternoon. I write wherever I am, and I take a laptop when I travel while writing a book. You are known for being a master of creating suspense in a novel. What techniques do you use when plotting to achieve that timing of the suspense and action which keeps the reader eager to turn the page to see what happens next? The process of writing is still a kind of magic to me, and I never try to analyze it too deeply, for fear that it might stop working. I do try to make each chapter a small story in itself, with a beginning, a middle and an end, and I try to end each one in such a way as to lead naturally into the next one. It seems to work. I'd like to talk about the latest two novels which feature the popular character, Stone Barrington: Dead in the Water and Swimming to Catalina. What was your inspiration for the storylines? The inspiration for Dead in the Water came from an article I read in a yachting magazine about an incident where a woman's husband died in the middle of the Atlantic and she managed to sail herself the rest of the way across. I wrote a short story about it for another sailing magazine, and later, it occurred to me that it might make a basis for a novel. Still later, it occurred to me that it might make a Stone Barrington novel. Near the end of the book, when Arrington marries her movie star, I thought that might make a good beginning for the next book, which is how Swimming to Catalina came along. In Swimming to Catalina, Stone Barrington returns and Hollywood and its pretensions are skewered -- hilariously. Did you spent a lot of time in Hollywood to research the story or did it grow out of your experience in having Chiefs turned into a TV mini-series? My experience of Hollywood comes from being in Los Angeles on book tour every year or two and having some friends in the movie business. Chiefs was filmed in Chester, South Carolina, and that never took me to California. I didn't do any specific research for the book. What did you enjoy most about having Chiefs turned into a mini-series? I enjoyed the whole process. The producers were kind enough to let me read each generation of the screenplay, as it was being written, and to ask for my suggestions, some of which they actually took. I also enjoyed visiting the set in South Carolina and playing a small part (an FBI agent) in part three. They "dressed" the town three times, for the different periods of the story, altering something like twenty-three storefronts and planting a large oak tree in the center of town. I was amazed at the thoroughness of the job. I made some friends, too; I still see Martin Manulis, the executive producer, when I am in LA, and also Charlton Heston and Steven Collins, and I hear from the producer, Bill Deneen, once in a great while. The director, Jerry London pops up now and then; he and his wife usually stop and stay the night when they're travelling from a shoot in Toronto to New York, and we play golf. What or who was the inspiration for Stone Barrington? There was no particular inspiration for Stone Barrington. I just put him together as the story went along, and I liked him, so I brought him back. 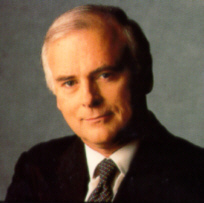 How much of Stuart Woods is there in Stone Barrington? Stone and I share a few tastes, but we are very different people. How much do you use the Internet? Do you find it valuable for research? I use the Internet mostly to answer email from readers, but I also keep track of my investments, buy cars, rent vacation houses and read about things that interest me, but I haven't used it much for research, because I don't do a lot of research these days. People who drive slowly in the fast lane and won't move over; bad service anywhere; people who don't know their own email addresses or misspell them (I get a lot of email from such people); people who smoke in restaurants. Rumor has it that you are writing a memoir--is this true? I have written some chapters of another memoir, but I have no idea when it will be finished or when it will be published. I guess it's not a priority right now. Do you ever miss living in England? I miss England a lot. It's my favorite country, and London is my favorite city, and I don't get there nearly as often as I'd like. Where are your favorite places to go in Italy? I like Tuscany, particularly the Chianti district and Florence; Venice; Positano; and, most of all, Rome. I could enjoy living there. What is your idea of the perfect vacation weekend? To sail on a boat with good friends and a good cook. Tell us about your next book, Orchid Beach. Orchid Beach is about a young woman who retires prematurely from the military and goes to work in a small Florida town as deputy chief of police. When her chief is shot in the line of duty, she finds herself in a dangerous mess. I'm working on the next Stone Barrington novel, which should be out next year in late spring or early summer. It's called Worst Fears Realized, and I hope to finish it this week.